TANEYCOMO LAKEFRONT COMPOUND!! This exciting waterfront estate comprises over 1.75 acres and 410 feet of shoreline with very gentle lake access. The two-residence compound amid park-like grounds is fenced and gated. 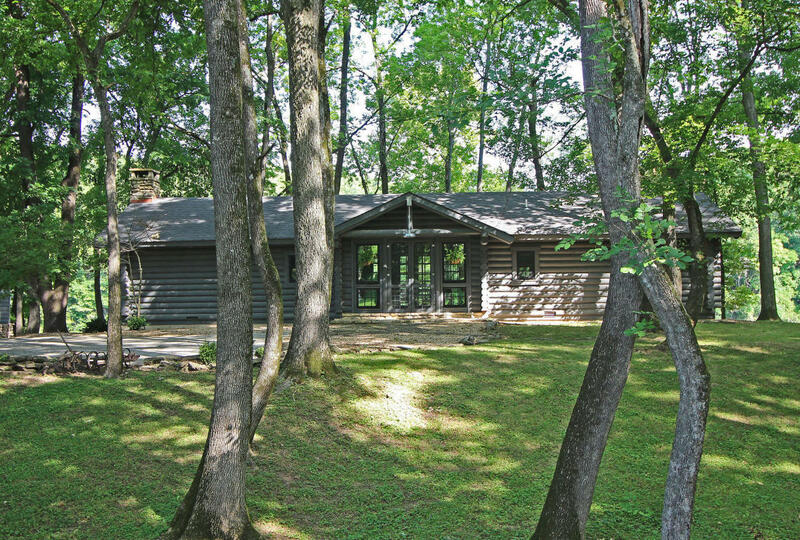 There is a 1625 sq ft log home with 5 burner down-draft cooktop, massive fireplaces in both living and bedroom, and stone patio for entertaining. The 900 sq ft lakeside guest cottage or caretakers home (framed but not finished out)is attached to a three-car garage. Permits for 2 private docks (dock not included). New mini-spilt HVAC units and appliances. Community boat launch just around the corner. Approximately 3 miles from grocery and Lowes/Menards and 5 miles to downtown Branson or Hollister.